for the company, which it retained up until a few months ago. Leo Burnett Sydney CEO Pete Bosilkovski says: "Over many years we’ve produced some amazing work and business results. We respect McDonald’s decision to consolidate based on efficiencies and productivity, and we wish them continued success. "We are very proud of the exceptional partnership we’ve had with McDonald’s." The move follows McDonald’s creative and media agency review in the US last August, which saw the company consolidate its ad business with DDB’s holding company Omnicom, ending a 35-year relationship with Publicis-owned Leo Burnett. As part of the win, Omnicom built out a dedicated McDonald’s agency, We are Unlimited, which took over full creative duties for the business as of this January. VML Sydney, which is part of the Y&R group within WPP, is still responsible for McDonald's social media and digital content business. McDonald’s recently moved its PR account out of DDB’s Mango to TBWA’s Eleven. DDB was not available for comment. 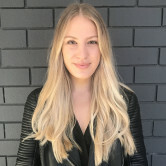 Leo Burnett Sydney is no longer working with McDonald’s in Australia after 12 years on the account, AdNews can reveal. AdNews understands Leo Burnett has not been working with the fast food giant for some months, with DDB Sydney snaring back its control of the account. The two agencies have been in a tug of war over McDonald’s creative duties since 2004 when Leo Burnett muscled in on DDB’s now more than 40 year relationship with the brand. Leos took on some of the retail business. 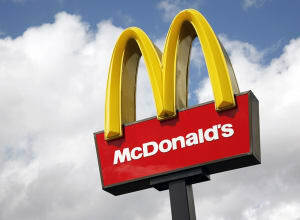 McDonald’s then consolidated its creative into DDB in 2007, but Leo Burnett remained on the roster. Most recently, in 2012, Leo Burnett’s picked up the McCafé and Family accounts for the company, which it retained up until a few months ago.